HP Lovecraft Slept Here — and So Can You! This sounds like a writer’s dream — or nightmare, depending on how one looks at it: A one-bedroom apartment in the same house in which the master of weird fiction himself, H.P. 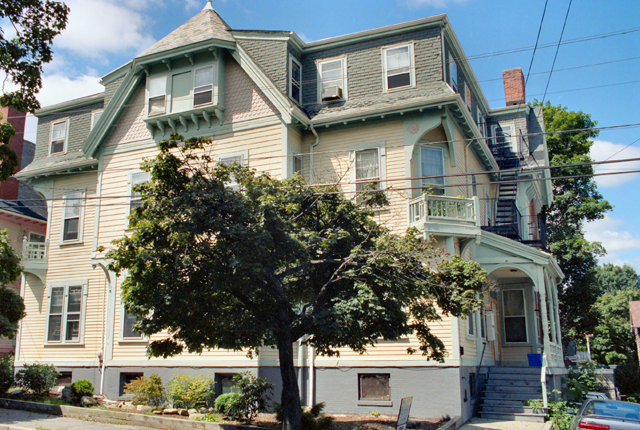 Lovecraft, lived and wrote is available to rent for just $965 a month in Providence, R.I. The room is in a Victorian house at 10 Barnes St. — an address that Lovecraft actually incorporated into The Case of Charles Dexter Ward as the home of Dr. Marinus Bicknell Willett. It boasts hardwood floors, high ceilings, off-street parking and basement laundry facilities. 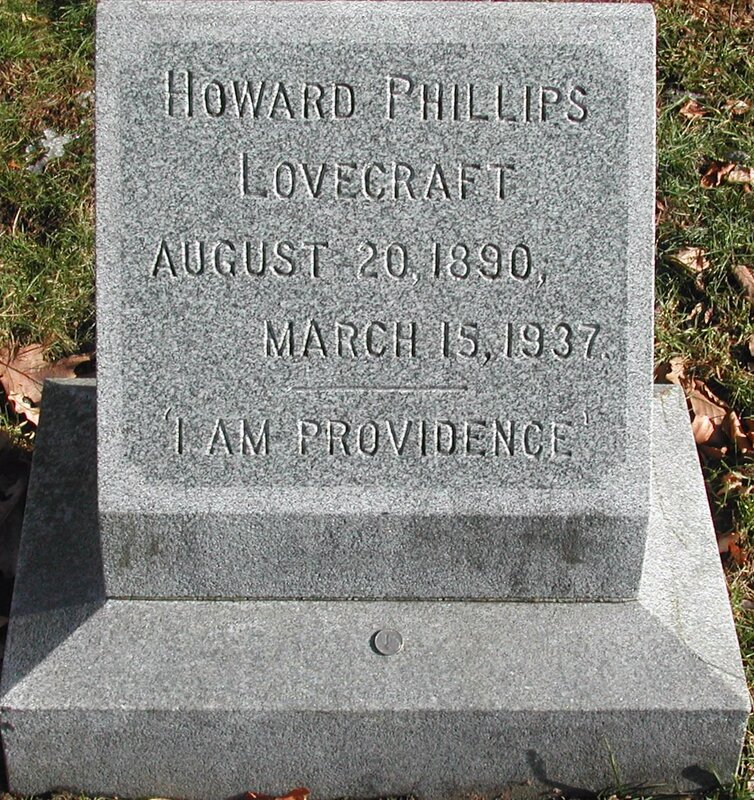 Lovecraft was born in Providence in 1890 and moved to New York City when he married Sonia Greene in 1924. But hated Brooklyn so much — have you read “The Horror at Red Hook”? — that he moved back to Providence without his wife just two years later. He was taken in by two aunts who lived in this house. 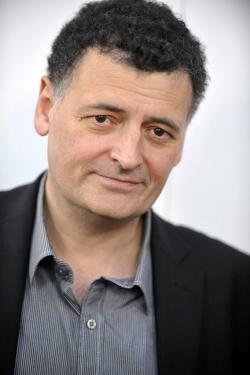 Follow this link to Writer’s Room to see the video (because BBC won’t let me embed it here); I think it’s totally worth devoting 11:20 to hearing about how and why a master of the craft of TV writing works! Today would have been the 123rd birthday of one of my very favorite writers, H.P. Lovecraft. The Gentleman From Providence is probably the most influential writer of the 20th century that most people have never heard of. Without Lovecraft, horror movies, books, games and comics would look very different. Perhaps someone eventually would develop the idea of beings from other planets worshipped as gods by primordial humans, and lurid tales of Piscean species interbreeding with centuries of townsfolk and ancient ruined civilizations in Antarctica and leaping, chittering things trapped in crypts — but in our universe, H.P. did that. His was the imagination that gave us an artist who painted ghouls from live models. It’s a horribly hot, windy-and-rainy Monday here in New York City, and I cannot think of a better way to improve my dark mood and think cool thoughts than to contemplate the new Sandman comic book series coming from creator Neil Gaiman and new artist J.H. Williams III this autumn. 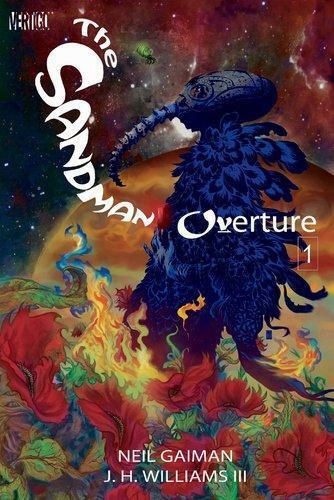 Gaiman’s epic return to the character that made his bones in comics back in the 1980s has a new name — instead of Sandman: Zero, it will now be called Sandman: Overture — and an official release date: Oct. 30. The bimonthly Vertigo miniseries will explain bow Morpheus was so easily captured by Roderick Burgess way back in The Sandman No. 1. The series will alternate months with a “Special Edition” version of each issue that will showcase sketches and commentary. I remember seeing house ads in DC Comics back in the day promoting the new Sandman series featuring an image of the first issue’s cover and the line, “I will show you fear in a handful of dust.” This was, of course, a reference to T.S. Eliot’s epic poem The Waste Land, and I wanted to read more. So when I stumbled upon the actual first issue of the comic, I snapped it up, and the rest was history. Who better than the stellar Matt Smith and Neil Gaiman to introduce tonight’s episode of DOCTOR WHO, “Nightmare in Silver”? 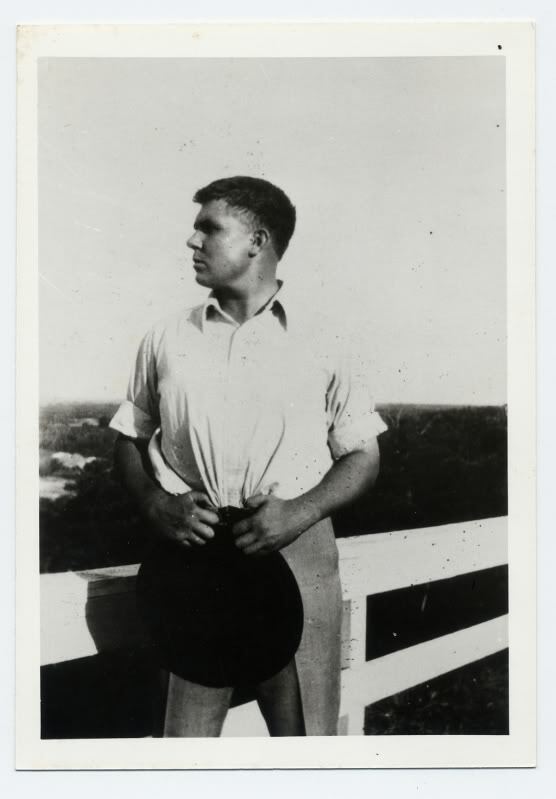 You know the drill: Watch BBC America‘s Supernatural Saturday, starting with the Doctor at 8 p.m.
Today marks the 107th anniversary of the birth of Robert E. Howard, the quintessential American pulp author best-known for creating Conan the Barbarian. But, hey, Howard did much more than unleash a barbarian on pop culture. He helped shape modern pop culture by fathering the “sword and sorcery” subgenre of fantasy and contributing to Lovecraft’s horror mythos. Howard came up with a number of other vivid characters, including Solomon Kane, Kull the Conqueror, Sailor Steve Costigan, Cormac Mac Art, Bran Mac Morn, El Borak and James Allison — notable for being disabled. I have previously looked at REH’s life, which tragically ended in suicide, so now I turn to his literary output.